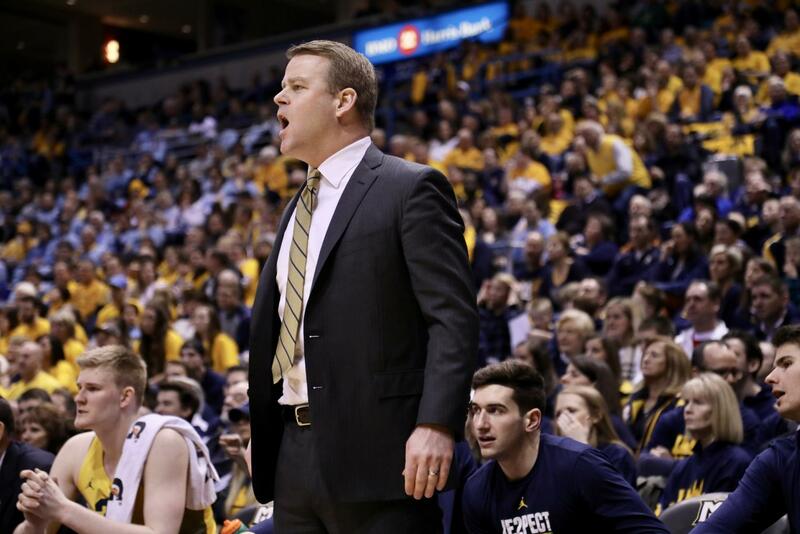 Men's basketball head coach Steve Wojciechowski (pictured) and his staff have reached out to several potential point guard transfers. Following Marquette’s NIT quarterfinal loss to Penn State, head coach Steve Wojciechowski appreciated knowing he’ll finally have the opportunity to coach a veteran team. “We’ll finally have more than one or two upperclassmen next year,” Wojo said. Even though Marquette is only losing two players, senior Andrew Rowsey and Harry Froling who left the program, the Golden Eagles still have some holes to fill on the 2018-‘19 roster, especially at point guard. Marquette’s only point man is rising junior Markus Howard, who can run the offense when needed but plays more naturally off the ball. After finishing fifth in the America East with 17.8 points per game, Cremo is one of the top point guard graduate transfers available. Cremo also has a weapon Marquette is quite familiar with — 3-point shooting. He shot a conference-best 45.8 percent from 3-point range. Cremo committed to the Great Danes following three consecutive NCAA Tournament appearances, but Albany has missed the NCAA Tournament and NIT in all three of Cremo’s seasons. Other suitors include two fellow BIG EAST foes — Creighton and Seton Hall — and myriad high-major programs, per Corey Evans of Rivals.com. Arizona, Ohio State, Louisville, UConn, Texas and Wichita State are also among those to reach out to Cremo. Marquette’s defense could be characterized as mediocre-at-best last season, as the Golden Eagles missed the NCAA Tournament for the fourth time in the last five years. Joseph Chartouny could fix much of that. The Fordham standout is looking to transfer for his last season after leading the country this past season in steals. The 6-foot-3 guard also averaged 12.2 points, 5.6 rebounds and 4.6 assists per game. 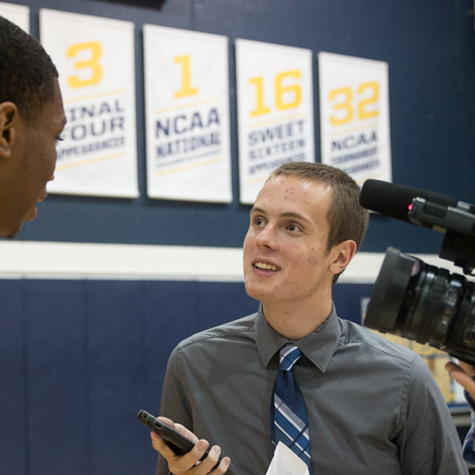 Marquette has not publicly been connected with Chartouny, but head coach Steve Wojciechowski and associate head coach Brett Nelson have recently followed Chartouny on Twitter. Since Chartouny is a graduate transfer, he will be immediately eligible to play next season. as opposed to sitting out a year. Unlike Cremo and Chartouny, Carr would have to sit out next season per NCAA transfer rules, leaving Marquette without a true point guard for another season. However, if Marquette can mind the wait, Carr has plenty of potential. Carr had options in the six major power conferences entering college. He chose Pitt over other Power Five foes like Baylor, Virginia Tech and Vanderbilt. After a winless ACC schedule and an unsurprising coaching change, the 6-foot-1 guard opted to transfer. He averaged 10 points per game his freshman year. Rivals.com’s Corey Evans reported that Carr received interest from Texas, Cincinnati, Iowa State and other perennial March contenders within a week of him requesting his release from the Panthers. Wojo has a track record of recruiting transfers after their sophomore years. Andrew Rowsey transferred after two seasons at UNC-Asheville in 2015, and junior Ed Morrow transferred last summer after two seasons at Nebraska. Koby McEwen could be next. Per ESPN’s Jeff Goodman, Marquette has reached out to McEwen since he announced his intentions to transfer, as did Creighton, Oregon, Arizona State, Ohio State, Iowa State, Tennessee and Grand Canyon. McEwen has held prominent roles in both seasons at Utah State. He averaged 14.9 points in 31.3 minutes per game his freshman year. While his efficiency trailed off slightly in his sophomore campaign, the guard averaged a team-high 15.6 points per game before the Aggies fell in the Mountain West Tournament semifinals. Wojo could add both a grad transfer to play immediately as well as a traditional transfer due to the departures of both Cheatham and Froling. One doesn’t preclude the other.